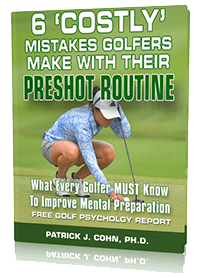 In “Sports Psychology Sessions with Doc,” Dr. Patrick Cohn answers a question from Don who wants to know why golfers struggle on the greens when putting. Golfers with the yips, whether it is putting, chipping or full swing, feel different mechanically when they move from the practice green to the course. Golfers tend to get more mechanical because they think that’s whats going to help them hit a better shot. What Changes on The Course? Watch the video to learn how to take your practice putting to the greens. Improve Your Mental Game With Expert Mental Training! Expert mental game coaches, Dr. Patrick Cohn and Dr. Megan Melchiorre can help you overcome your mental game issues in golf with personal coaching. 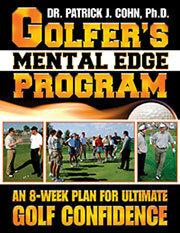 We do mental training with golfers of all levels and ages–about 12 years and up. And mental training is not just for elite or professional athletes. If you are interested in mental coaching, try our free 15-minute introductory session. Contact us here with your name, sport, and what mental game challenges you are having. You can learn more about our mental coaching programs for athletes here.